My intention is to tell a story of your special day through my photographs. Capturing all those magic moments. 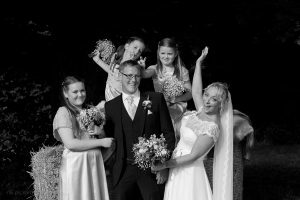 Shooting in a mainly reportage style and using the latest in digital camera technology I can capture your wedding day as it unfurls without disturbing anybody or getting in the way. I will not take you away from your guests for hours on end, taking over the day. Indeed one of the things I hear again and again from my clients is how I did not intrude upon their wedding day. 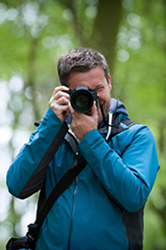 Instead I work closely with you before the wedding, so you can relax on the day knowing that I will capture everything that is important to you to make your day extra special. My objective is capturing you and your guest enjoying yourselves throughout your Wedding day. 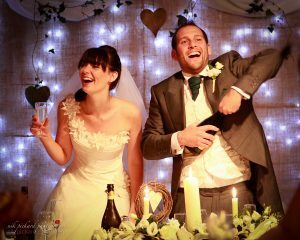 Take a look at my Wedding Photography Gallery for more examples of my work. All packages include a £300 booking fee which is required to secure the date and remaining balances are due two weeks prior to a wedding. All image files are included with unrestricted rights. Your image files will be sent to you directly with handy download link straight to your hard drive. There are many extras if you need to tailor one of my packages, including beautiful hand made albums from Folio Albums, and second photographers. © 2019 Nik Pickard Photography|ProPhoto Custom Blog by NetRivet, Inc.